Attracted by the flexible rates offered for short and longterm business storage as well as the proximity to town centres for many of the larger stores, small firms across the UK are using self storage facilities as an alternative to committing to longterm rental on warehouses or extra space at their own premises. According to the federation of small businesses there are almost 4.95 million small businesses in the UK – and the number is growing, which is good news for storage owners. A report issued by Deloitte and reported by the BBC indicates that this year 42% of self-storage space was for commercial use, compared with 39% in 2012 and this is backed up by evidence a number of our member companies at Storenextdoor. A typical company like Flexispace Self Storage in Manchester offers flexible terms that are designed to suit individual customer needs. The benefits include a fast move in (same day if required), no long term commitments, pay for only the space you need, high levels of security, smoke detectors, fire alarms, building alarms & 24hr security call out. 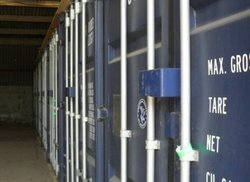 As well as the self storage companies, there are other options available for small business looking to store stock or excess facilities; container storage like that offered by Dainton self storage in Exeter or by Bilting Farm Self Storage near Ashford in Kent. The advantage of container storage is that you can usually access it 24/7 and drive right up to the entrance. Arrangements are generally very flexible and rates per square foot less than self storage facilities (depending on area). If you have a small business and are looking for storage, search the listings at Storenextdoor as we might have the solution that’s right up your street.